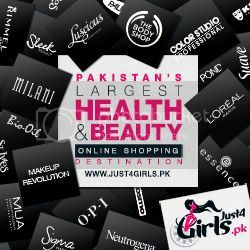 Pakistani Beauty Blogger Community Secret Eid Swap! 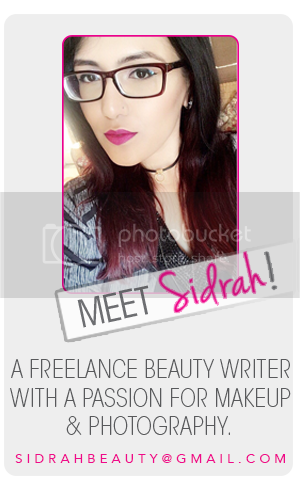 I'm super excited to share with you all my experience with the Pakistani Beauty Blogger Community Secret Eid Swap. 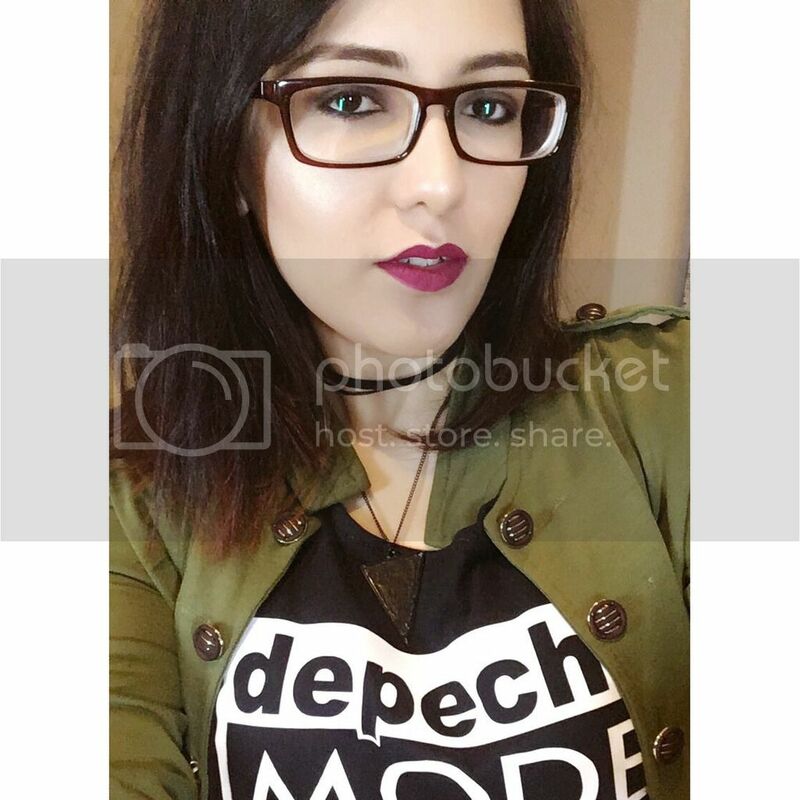 I wasn't able to participate in the first secret swap since I wasn't quite sure what to expect but after seeing such a positive response from all the bloggers I didn't want to miss out on the Eid swap! The Eid Swap was well planned out and organized, every blogger who participated filled out a form mentioning their skintone-skin type-favorite blush and lipstick shades and wishlist items. The items I received were mentioned on my wishlist so I was happy I got exactly what I wanted. 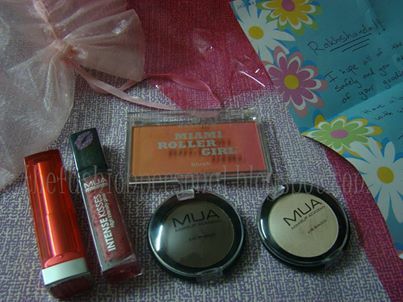 As soon as I opened the adorable box and read the letter- I knew it was Sara of Sara Hassan's blog since the hint gave it away! I completely adore how the items were packaged in a neat little box which was hand designed by her. It made me appreciate how pretty it was put together. I had a few items on my wishlist for a while and Luscious being one of my favorite brands I wanted to get the Velvet Matte Powder that everyone has been raving about...it's for sure become a favorite of mine. The other items I wanted was the Maybelline Baby Lips and another Luscious Signature Lipstick since I'm obsessed with this line- love both of these products! 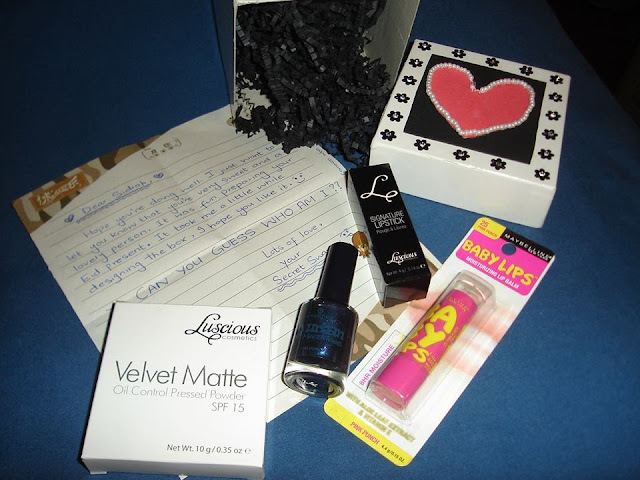 The last item I got was the Essence Urban Messages Nail Polish in Nightline- it's an absolute lovely dark blue hue! I was looking for a rich navy blue polish and I'm glad my awesome secret swapper Sara got this for me! Thank you SOO Much Sara. And here's a little peak at what I purchased for Rakshanda at The Fashion Personal! A huge thank you to Sarah Ali and Rabiyah Tungekar for arranging the Eid Swap. I had such a fun time purchasing these items for my secret swapper and also getting my awesome secret package. Wow dats lovely! :) looks like everyone had alot of fun,wish I could participate..